1. How does my skin tan? The UV rays from the sun stimulate the skin’s pigment cells to form the brown pigment melanin as a defensive measure. Melanin is naturally produced by your body and absorbs UV radiation and fights free radicals. Melanin production is our natural protective response to sunlight. It is important to recognise that the ability to produce a tan or the natural skin colour of an individual affects their susceptibility to skin damage. 2. What does the sun protection factor (SPF) mean? The SPF is the description of how much longer you can stay in the sun without getting a sunburn, depending on your skin’s self-protection abilities (e.g. one can stay for 10 minutes in the sun without getting sunburned, hence a product with SPF 10 would multiply this “self-protection time” by 10 = 100 minutes). Thus, the sun protection is also dependent on your own skin type. And above all, the sun protection is only given in full, if enough product is applied. Recommended are 2 mg/cm2 for one application, which means, for example, about 1 finger length of product for the face or 2-3 tablespoons of product for an average adult’s body. 3. What is the correct amount to be applied? The protection given by a sun care product will vary with the amount applied. Therefore the sun care product should be applied generously to all parts of the skin. Parts of the body often forgotten are the back of the neck, the front of the upper part of the chest and the backs of the legs. The application of sun care products is one of the key factors to effective protection in the sun: Always apply before sun exposure to ensure protection from the start. One application correlates to 2-3 tablespoons for average adults. Reapply every 2 hours, in any case after swimming, toweling and perspiring. 4. Do children need different sun protection products to adults? Children are particularly susceptible to UV related skin damage. Their delicate skin is still vulnerable and, in the case of very small children, their skin’s natural protection is not fully developed. Full skin thickness and the ability to pigment is not fully reached until the teens. Frequency of sunburn in childhood is related to skin cancer at later age therefore children should use sun care products with high and very high SPF. Furthermore, children love to bathe and swim. This decreases their skin’s own UV protection capacity and washes off UV filters to some extent. To keep the sun protection level as prolonged as possible, our children lotions and sprays are developed with "extra water resistant" and Kids Swim&Play with long lasting water resistant properties. As extension of the test for “extra water resistant”, where users take a bath for 4x20 min according to the approved standard by Cosmetic Europe, our definition for long lasting water resistance means that users take a bath for 6x20 min after product application and afterwards the remaining sun protection has to be more than 50% of the original value. 5. Can I prolong the sun protection by reapplication of sunscreen? 6. What does water resistant mean? For the testing of water resistance in Europe exists a widely accepted standard which was approved by Cosmetics Europe (Roof organisation of the cosmetic industry). Following this standard, all our sun care products with water resistance were tested at external independent institutes and passed the criteria for water resistance. The test users take a bath for 2x20 min. (water resistant) or 4x20 min. (extra water resistant) after product application and afterwards the remaining sun protection has to be more than 50% of the original value. Therefore, water resistance does not mean a lasting initial sun protection for unlimited time. 7. Can I still use a sun protection product from last year or will it be less effective? We guarantee the product quality for 12 month after opening. When the product has been stored under normal conditions at room temperature and does not look or smell strange, it can be used in the next season. The shelf life is rather limited by factors such as physical instability (separation of the emulsion), changes in the perfume and the color of the product. The widespread opinion that the SPF of sun care products decreases over time and only fresh products provide full protection is not true. 8. Can I use a sunscreen in combination with any NIVEA body or NIVEA face care product? This is possible when you apply the NIVEA sunscreen first and wait for 15 to 30 minutes before applying the NIVEA body or NIVEA face care product. This way, the effectiveness of the sun protection system of UVA/UVB-filters in the sunscreen is maintained. 9. What are the main reasons for sun allergies? Sun allergies are caused by oxidative stress as a result of UV-induced free radicals in the skin cells. This leads to the immune system overreacting and causing inflammatory processes and numerous allergic symptoms. For the most part, it‘s individuals with sensitive skin that are affected, so around 20% of the population. It is not really dangerous but very unpleasant for all relevant people. We can try to avoid sun allergies with a balanced UVA/UVB protection system, particularly high UVA protection. In addition, active cell protection agents in the product such as vitamin E can help to strengthen your skin’s resistance to sun exposure. In order to meet your wishes regarding skin care properties in combination with different levels of sun protection we offer you a wide portfolio of Sun Protection Lotions and Sprays. 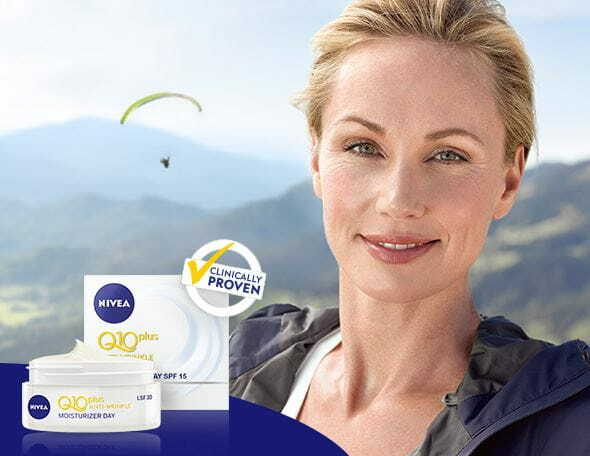 For peopele with senisitive skin we recommend the NIVEA Sun Protect & Sensitive products. 10. What can I do about yellow stains in my clothes caused by sun care products? The product contains different UV filters which protect the skin against UVA and UVB radiation. The UVA filters in particular tend to give yellow stains. This stain formation is promoted if the clothes come into contact with the skin before the product is completely absorbed. In such cases the clothes should be prewashed without any detergent at 30°C followed by a normal wash cycle with liquid detergent at 30°C. If stains are stuborn and still visible after washing we recommend to let the fabric soak in a citric acid solution (50g citric adic in 1L water) for 1h. Be careful with delicate fabrics and e.g. mother-of-pearl buttons. Please test the product prior to the actual use on an unobtrusive spot. Alternatively, treat stains with a commercially laundry rust stain remover for fabrics according to the product directions. Then wash with liquid detergent at 30°C. Generally speaking, avoid bleaches, oxi-action products as well as powder detergents and washing at high temperatures. Warning: Be aware that citric acid is slightly hazardous in case of skin contact (irritant, sensitizer), of eye contact (irritant), of ingestion and of inhalation (irritant). Skin contact can produce inflammation and blistering. Tissue damage is dependent on length of contact. For this reason, we highly recommend to wear protective gloves when handling citric acid and to not breathe in citric acid dust. 11. When I use sunscreen, why don't I get as much tanned as without? Many people think, that a sunscreen with high sun protection factor (SPF) prevents tanning – and instead use products with lower SPF. But even with higher sun protection, you will tan. However, it will take somewhat longer, but will be gentler to your skin. Products with a high sun protection factor protect against sunburn and UV-induced premature skin ageing. 12. 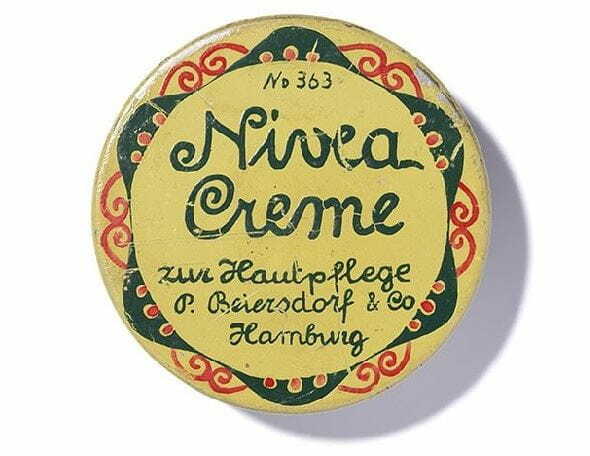 What is the shelf life for NIVEA Products? All NIVEA products have a proven unopened shelf life of at least 30 months from the date of manufacture unless they carry a specific expiry or use by date. Exposure to heat and light may, after time, lead to some instability of the basic structure of the product. Our advice would be to discard any old products that may look grainy, watery or discoloured, or if the odour has changed. 13. What are the reasons for sun allergies? Please contact us using our online contact form.